Trespass fans! We’re gearing up for another live chat! 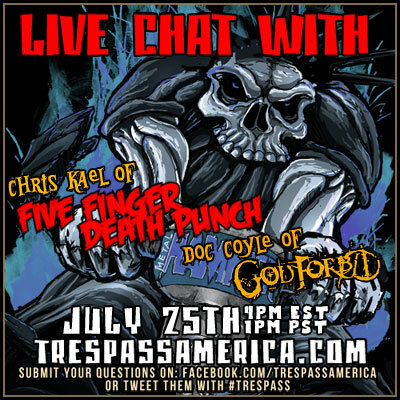 This time, you’ll be chatting live with Chris Kael from Five Finger Death Punch and Doc Coyle from God Forbid right here Wednesday, July 25th at 4PM EST/1PM PST! Submit your questions on our Facebook Page or via Twitter with the #TrespassAmerica!